Fancy Skulls - On Steam! TIGSource Forums Community DevLogs Fancy Skulls - On Steam! 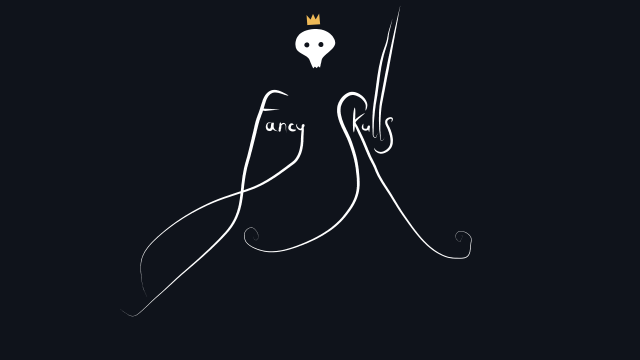 Fancy Skulls is a challenging first person shooter with procedural generation, permadeath and distinct art style. Intense and tactical combat, unique weapon mods and items that change the way you play. Inspired/influenced by: Quake, Bioshock, Nethack, Spelunky, Binding of Isaac, Team Fortress 2, Painkiller and other games and not games. You play as an immortal creature that is a very precious piece of collection who tries to escape from a treasury. There is a "eggs" in a room that contain enemies, once you in a room they start to get out one by one. There is two types of enemies - melee guys and sentry guns. Three basic weapons, shotgun, SMG, and good old rocket launcher. Everything is very raw, and mostly a placeholders. I have some finished projects, but this one is quite ambitious, as this is my second project in unity(first one did quite well, but it was very simple) and there is so much to do - models, animations, lighting, code, effects. I'm making models low-poly because I like it, and because it's simple. And it is somewhat, you may say Cubism-inspired. I'm still have a lot to learn about 3d - lighting, texturing. Thankfully I kind of know about making 2d art, at least people often say that they like my visuals, so it should make things easier. Interesting way of generating the level, i approve. Simplest one, I think. Based on Random Walk. "Cheap and angry". Immortal does not means invulnerable in this case. When it's creature health reduced to 0 it dies, but then resurrect after some time. And level changes while it's dead. Anyway, I thought it fits as a way to explain "try again in a new dungeon" roguelike trope. Well, I guess, execution is always important. I have already used it too, for my freaky roguelike. It should work well, since I plan threat rooms as arenas, you get in, kill everything, then doors open. Updated model for "sentry gun"
Added some abilities: slow time, blink, jetpack, haste. They are very simply implemented and require further work. There is now doors in rooms which will close once player has "activated" room and open once all enemies are dead. I like the design of that sentry, abstract, but with eyes, which just makes it more weird/creepy. At least, I think they're eyes. Yes, those are eyes. It also has a unhappy mask-like face with an eye-socket which it shoots from. Maybe should work some more on it, so it would be more obvious. Sometimes I worry that style I'm going for is too, umm, unusual. But this the way I like it, and want to make. And I try to make it work for a game - so characters would be expressive, and look different and recognisable. Looks good so far,will it be free to download or will it be sold? Thanks! Yes, I am aiming for commercial release. But there will be free alpha/demo before that. Thanks for the nice comments! I really appreciate it. If you have any questions - ask away, will try my best to answer them. Had a bit of downtime due to hardware problems, but got a new laptop and now slowly getting back to work.